The NXT sound sensor enabled some fun projects. 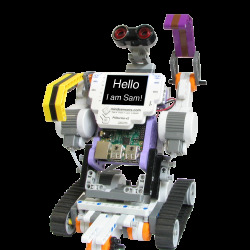 Unfortunately it has retired, and the sound sensor has not made a return with the EV3. 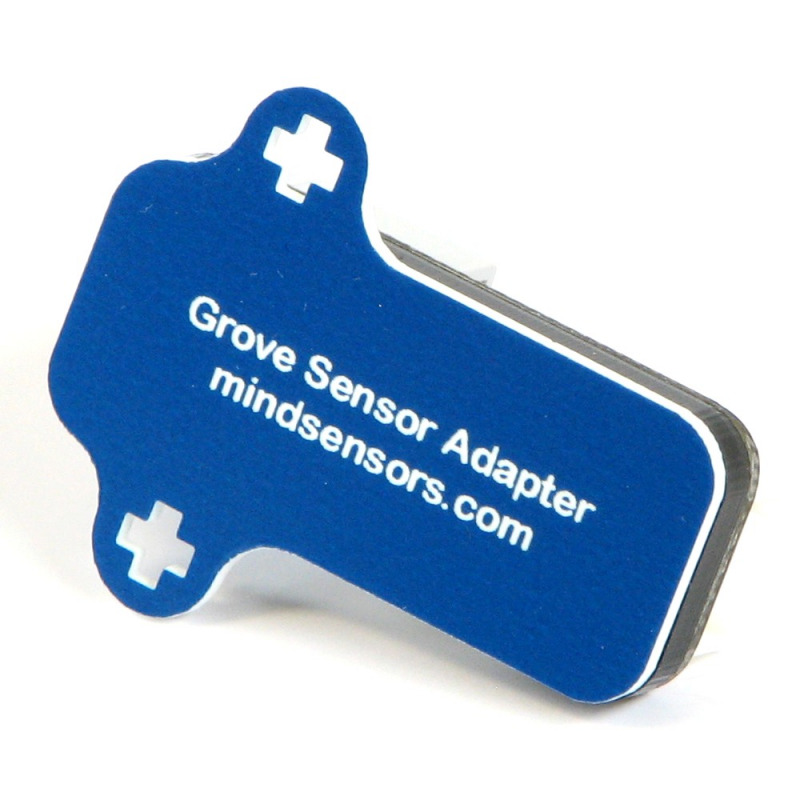 However, the mindsensors Grove Sensor Adapter has you covered! 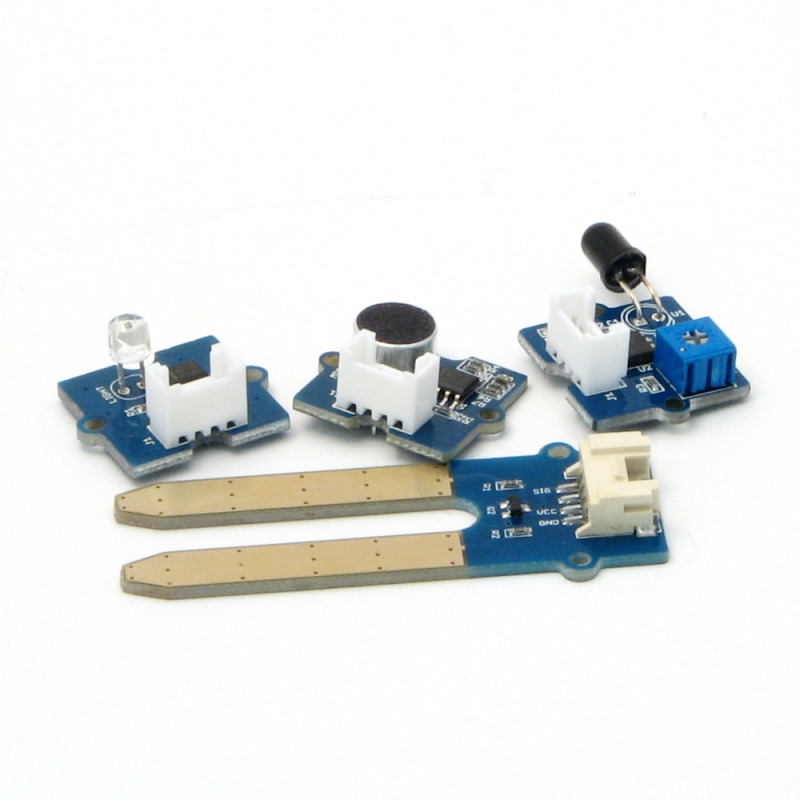 The Grove sound sensor attaches just as easily as any other Grove sensors, here's an example. The Grove Sensor Adapter is mounted to the side of the EV3 and connected to sensor port 1. The Grove sound sensor is mounted to EV3 as well, and connected to the other end of the Grove Sensor Adapter. What does this project do? Take a look! When it detects a clap, the program will cheer along with you! Let's take a look at the simple program. First it repeatedly reads the Grove sensor until it gets a valid reading. If the sensor is not connected, it will keep checking until it is. Then it compares it too 800, which we found is a good level for indicating a clap. A clap will show the clapping emoji and a cheering sound. If you want to get a bit more out of it, you can count the number of claps and act accordingly. The example program is available at the end of this article, but we'll take a quick look at the program. This program is a bit more complicated because it has to distinguish between a repeated clap and a new clap sequence. As before, it waits for a clap. When there is a clap, it adds one to the clap count variable. To make sure it doesn't count the same clap as multiple, it waits for the clap to end. At the end it displays the number on screen. The last aspect of this program is the timer. Whenever there is a clap, the timer is reset. If the timer ever gets past one second, it determines that you have stopped clapping and sets clap count to zero. This is when you could take action, such as playing a number of notes or moving your robot in a certain way. Make some noise for the Grove sound sensor! One of our customers, Allen M., has extended this project. If you do still have an NXT Sound Sensor, he has adapted this program to work with it. Further, he comments "I modified the second one to count the claps and then do something based on the number of claps." Thank you, Allen, for submitting your project, other readers can download it here. Hi Seth, another great post! I do have my NXT Sound sensor and was just planning on buying Grove sensors that I didn't have, but I might just change my mind. By the way, you accidentally provided the wrong link for for the EV3 program. When I clicked on it, I got another copy of the EV3 Gas sensor program. Could you fix that? Or, I could just copy the screen images. Thank you! You're absolutely right, that link should be fixed. P.S. : I tried adding back in the newlines to your comment, but it seems like our system puts everything on one line when displaying it here (it got rid of my emoji, too!). It does show multiple lines in the back end, though. I replaced them with spaces, hope you don't mind. Hi Seth, thanks for getting the link for downloading the program for the Sound sensor fixed. I just downloaded it. Until I get a chance to buy some more Grove sensors, maybe I can modify the program to work with the NXT Sound sensor. I have the EV3 block for it. I went ahead and modified the EV3 programs to work using the NXT Sound Sensor. Both of them seem to work very well. I modified the second one to count the claps and then do something based on the number of claps. That one took a little bit to figure out. I kept trying to put the Switch Block in the wrong place and the program only counted to one. After I finally got it figured out - it works great!. I just put in a set of generic screen displays for now. It displays "One" for one clap, "Two" for two claps, and so one. That way anyone can modify it however they want to. I would really like to share them in case someone else would like to use them, but I wasn't sure how to do it in a blog post. Maybe I could send them to you, Seth and you could post them. I will have to check out Builderdude35's video. Thanks for letting us know. He is really great and has answered a lot of questions for me. I hope I helped him out a bit too by telling him about the Grove Sensors and how great they are. He hadn't bought any to try yet. I told him to check out all of your blog posts too!